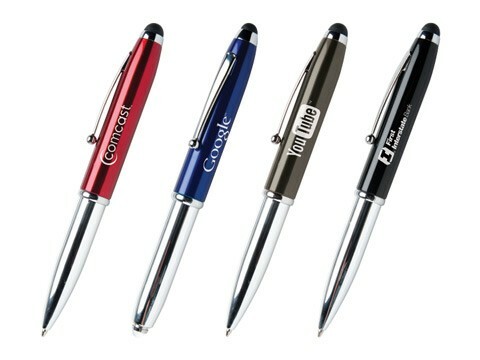 3-in-1 multi-tasker features a smooth writing pen, a micromesh stylus with advanced connectivity for all touch screen devices and a bright, powerful, LED flashlight. Quickly and easily changes from function to function. High gloss chrome and enamel with silver engraving. Save 20% off website prices on any pens that aren't already on sale.